Hailed by The Strad magazine as "a worthy successor to Lionel Tertis" and winner of the prize for the most promising British entrant at the 2003 Lionel Tertis International Viola Competition, Jones is violist of the Bridge Duo (viola and piano), the Debussy Ensemble (flute, viola and harp) and violinist with Ensemble MidtVest (an innovative ten-piece ensemble based in Denmark). He can frequently be seen performing in major international concert venues such as the Royal Festival Hall, the Royal Albert Hall and Wigmore Hall in London, Forbidden City Concert Hall in Beijing and Carnegie Hall where he made his critically acclaimed US recital debut in 2008. Matthew has commissioned numerous works and given many world and European premieres, and champions neglected viola works through recitals and recordings. 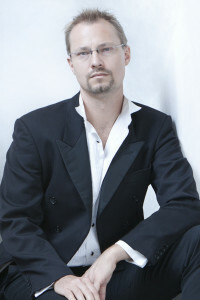 He is in demand as a concerto soloist, performing with such orchestras as the RTE National Symphony Orchestra. Matthew was the only British-based violist to be invited to perform at the 2010 International Viola Congress in Cincinnati, and was also a member of the Badke String Quartet when they won the 2007 Melbourne International Chamber Music Competition.